24 paper plates per pack. 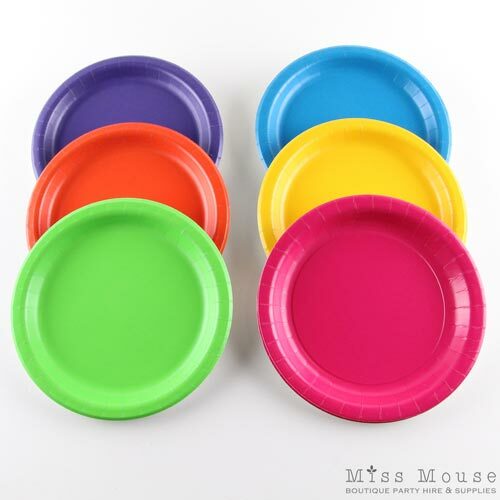 With two sizes to choose from and coordinating cups, napkins and table covers available, these block coloured Fiesta Paper Plates are a great option for a mexican fiesta or pink rainbow party! Each pack contains 4 each of purple, orange, citrus green, turquoise, yellow and magenta plates. Lunch size: 17.1 cm (6 3/4″) diameter. Perfect for children’s parties and serving cake.